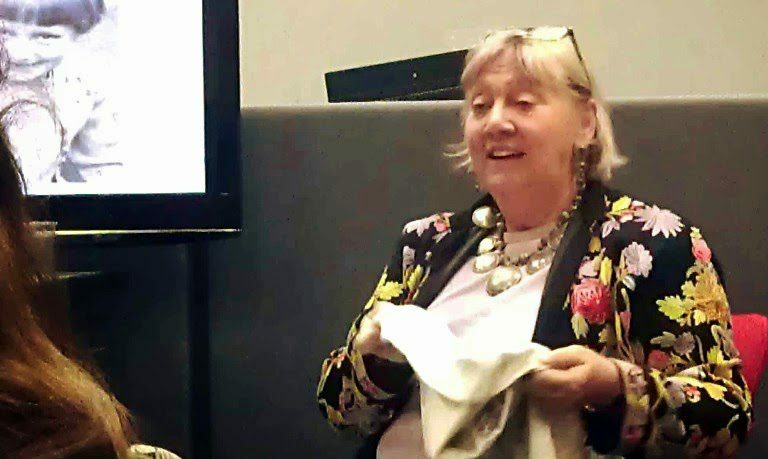 The Clothes, Cloth & Culture Group autumn programme got off to an inspiring start last night with presentations from Michael McMillan and Sue Jones, delivered in a conversational style that has become characteristic of our monthly textiles hub. The evening was particularly thrilling at a personal level since parallels could be drawn between the inspiration points for my own body of research – my father’s elegance provided a catalyst for my doctoral research into the creolised aesthetic of the Empire Windrush generation and the impact of the African-Caribbean presence on English male dress; my mother’s stitching provided the creative spark for my current concern with ‘crafting difference’ and the way in which history might somehow be worked by hand, concerns which underpin the ethos of the Clothes, Cloth & Culture Group itself. At first glance McMillan and Jones’ papers may seem somewhat unrelated. 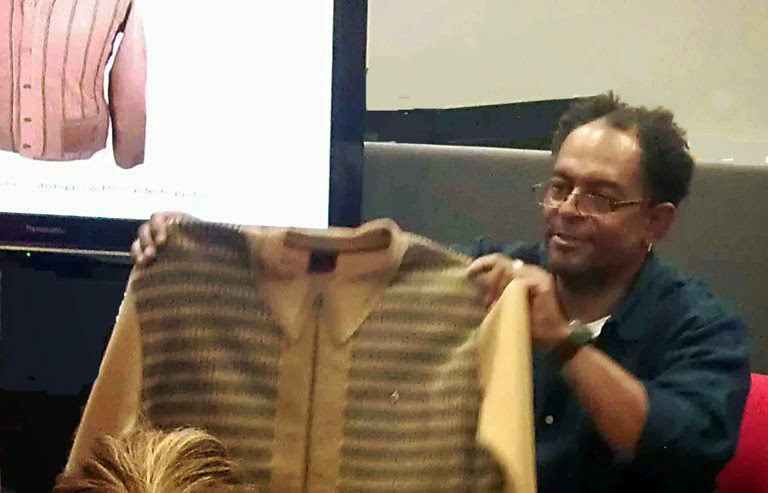 As you will hear from the podcast, through sharing ideas about cloth and memories marked by the wearing of particular clothes, the connections between the two became clearer as the evening progressed. Both spoke of the way in which clothes and cloth allow those without a voice to speak about themselves and the way in which they would like to be seen. Both spoke about cultural entanglements – for McMillan across the islands and across the Atlantic, for Jones across Jordan and England. They pinpointed cross-generational exchanges. They discussed the idea of repeating stories of rebellion and the role that the ritual of dressing plays in the struggle to be seen. centralityof clothes and cloth to the human experience. Jones’ conversation piece, a linen tablecloth embroidered by her mother, demonstrated to us the way in which cloth becomes saturated with cultural meaning as craft techniques and family keepsakes are passed from one generation to the next. This is what motivates each of us to engage in this ongoing conversation with everyday stuff.